Modern innovative design has transformed the way mirrors are now installed into homes. 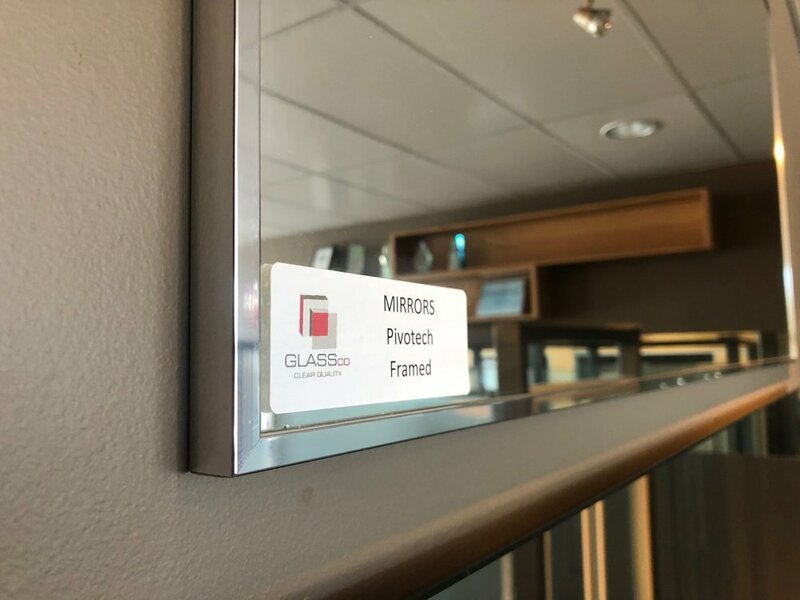 Take a look below to see the different types available from Glass Co. Still one of the most popular options for a Bathroom mirror is to directly stick or screw fix to create a clean flush look. The product usually consists of use 4mm or 6mm glass thickness with polished edges. 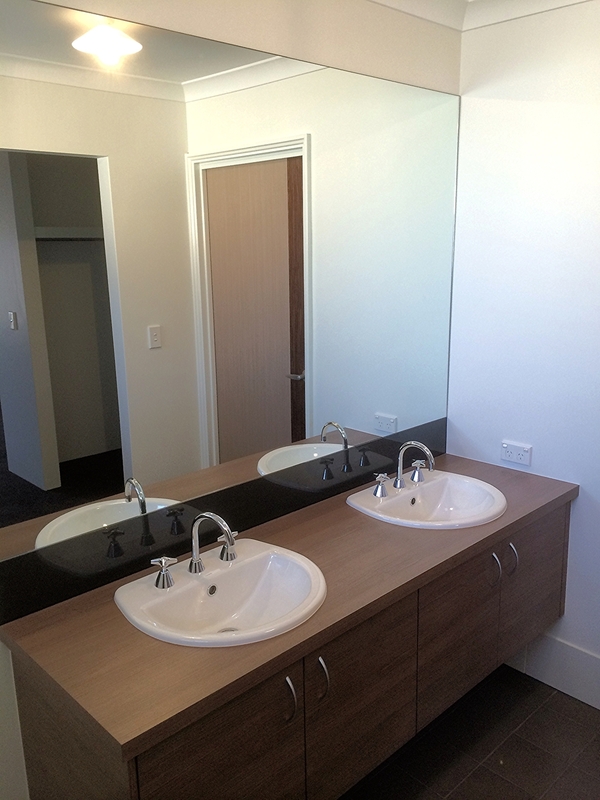 Have you ever thought of the use of coloured splash back below the mirror as an option? Definitely a way to add another dimension to the room and also avoid splash marks on the mirror from taps, just like a row of tiles would do. 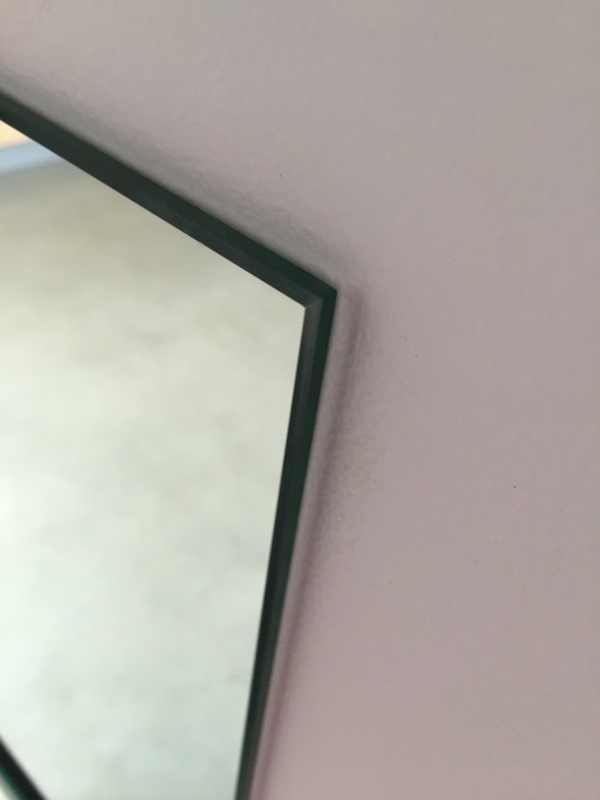 The concealed mirror frame hides the aluminium behind the mirror. 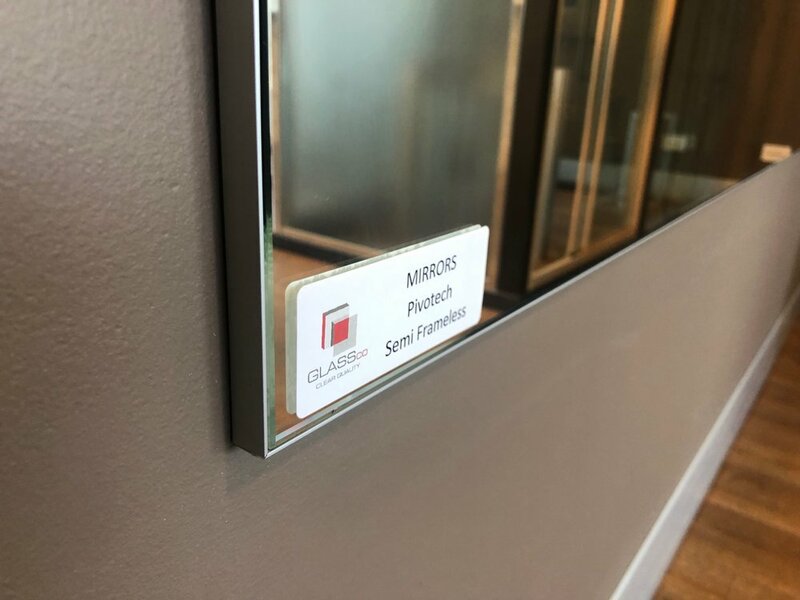 It's easily installed with concealed fixings. Pivotech mirror frames are the perfect way to enhance a beautiful bathroom. You'll appreciate the difference a frame makes. The leg option gives you all the benefits of concealed fixings just with a greater frame feel. The option of bevelled mirror into this frame can also be added to offer another look and feel to the room. Our stock standard shower frame wrapping around the mirror to allow for either a glue fix or screw through the frame with exposed fixings.